1 Year Anniversary Of Marijuana Legalization In Washington, D.C. 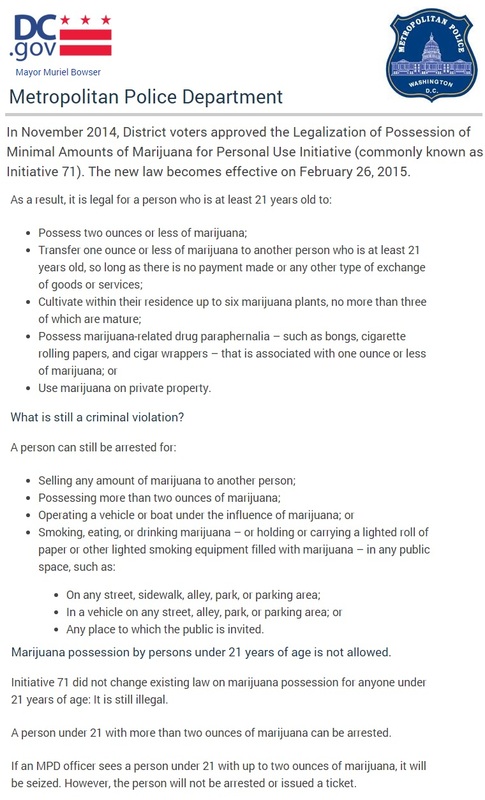 The law legalizing marijuana in Washington, DC went into effect at 12:01 a.m. Thursday, February 26, 2015. 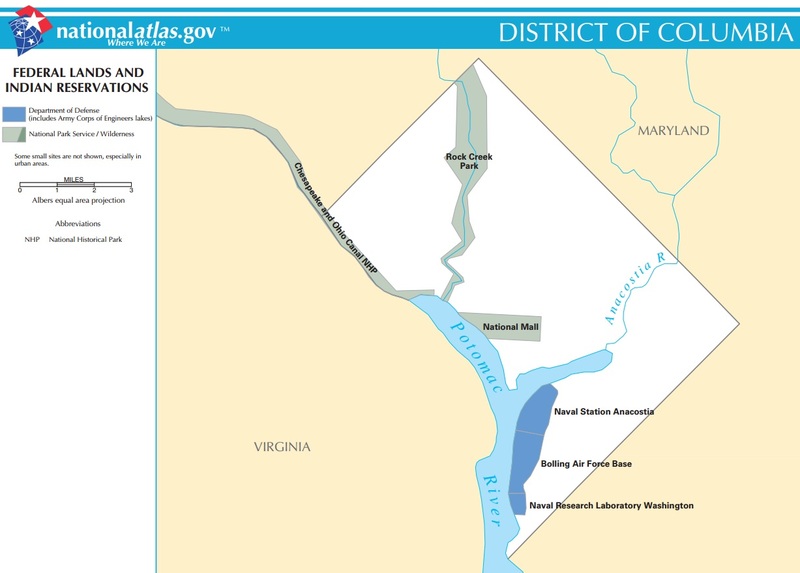 The District of Columbia includes both district land and federal land. 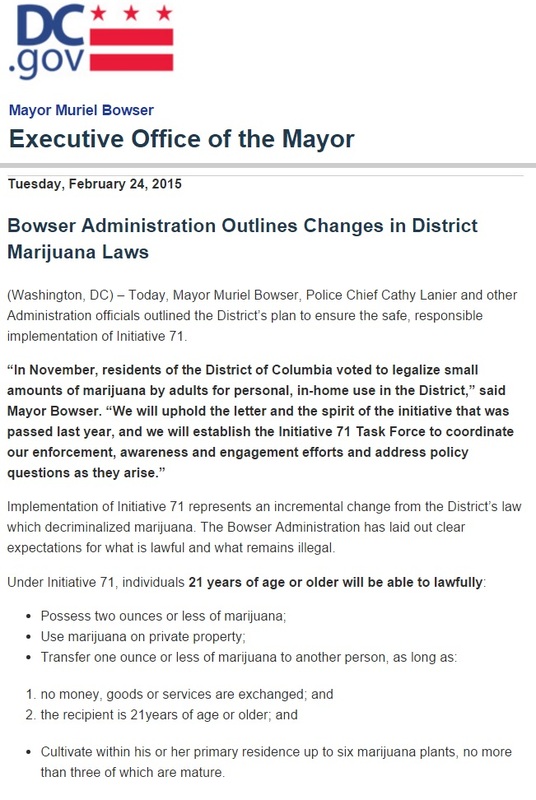 The new law is only a local Washington one. 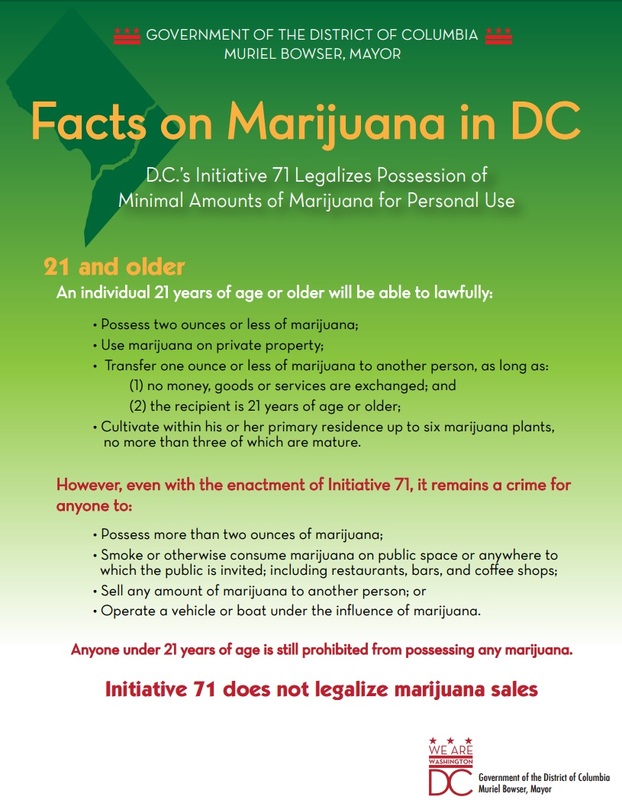 This law does not apply to possession of marijuana on federal that includes: the National Mall and Memorial Parks and Rock Creek Park. 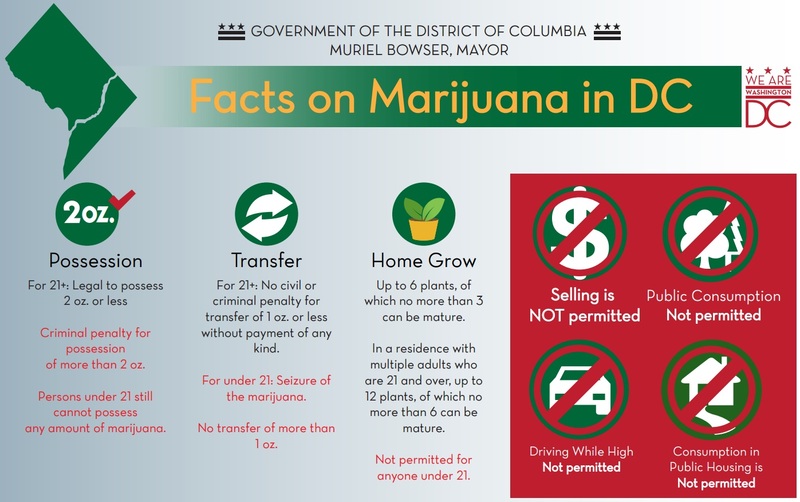 Data provided by the Metropolitan Police Department shows that they had conducted only 7 arrests for marijuana possession by Nov. 6, 2015, dropping a staggering 99.2 percent from 895 in 2014 and 2,346 in 2011, the Washington City Paper reports. The Federal Government owns nearly 650 million acres of land – almost 30 percent of the land area of the United States. Federally-owned and managed public lands include National Parks, National Forests, and National Wildlife Refuges. These are lands that are held for all Americans. The Federal agencies responsible for managing America’s natural resources must meet both the public desire to protect them and the public expectation of economic growth based on them. Within the Federal Government, a number of agencies contribute to the management of natural resources associated with public lands. 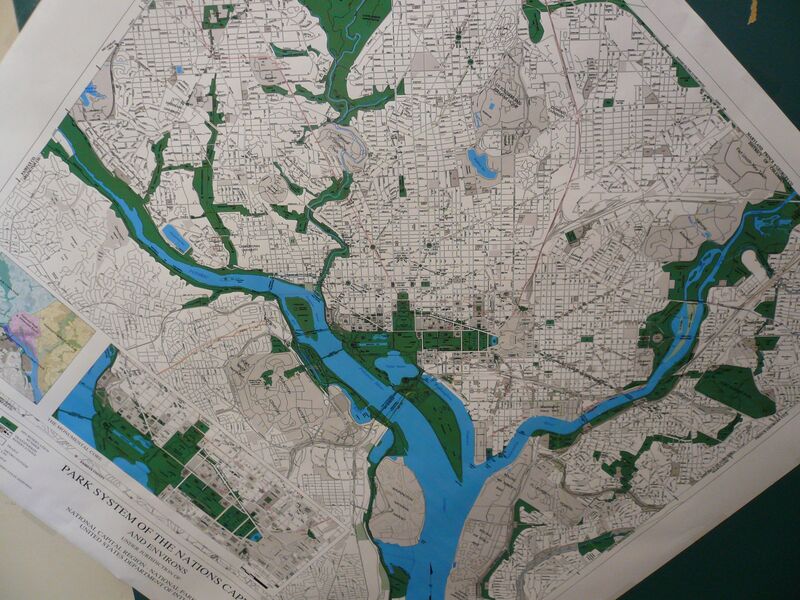 All of these Federal agencies are partners in the production of the 1997-2014 Edition of the National Atlas. In the United States there are only two kinds of reserved lands that are well-known: military and Indian. An Indian Reservation is land reserved for a tribe when it relinquished its other land areas to the United States through treaties.